The Stradic FK utilizes Shimano's latest technology while drawing on ways of the past. 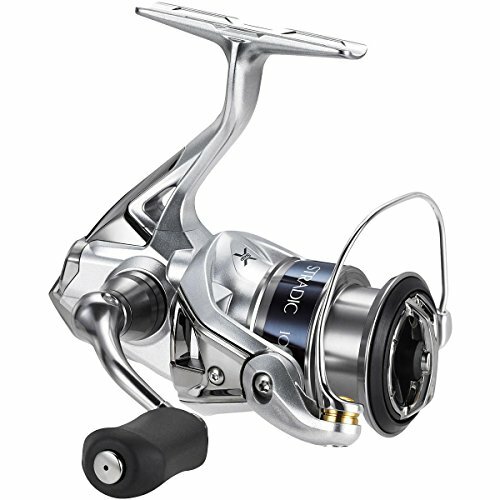 HAGANE cold forged drive gear combined with X-SHIP provides a smooth, powerful and durable reel. The sleek G-Free Body provides a better weight balance to reduce fatigue. Every part has been designed to im-prove the anglers experience on the water.From an angling perspective, every individual who has owned and enjoyed using Shimano tackle has a reason to thank a Japanese visionary named Shozaburo Shimano, who in 1921 declared "I aim to make Shimano's products the best in Kansai, then the best in Japan, and finally the best in the world. "For over 80 years, Shimano has concentrated on precision engineering, one step at a time. Creating the most innovative products and processes you can hold in your hand today.